Lawmakers in almost every state this spring are looking to close legal loopholes and find new ways to prosecute DUI suspects. 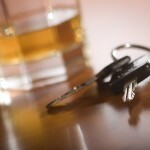 Tennessee and Oklahoma are considering bans on alcohol sales to DWI offenders. 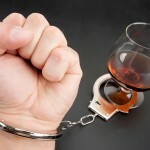 In Colorado, where DUI is a misdemeanor, legislators are looking at a proposal to make a third DWI offense within seven years a felony charge. And in South Carolina, moped riders may be targeted. If you are charged in southern California with DUI – whether it’s your first offense or a subsequent charge – get legal representation immediately by contacting an experienced Orange County DUI defense attorney. In March, a South Carolina State Senate subcommittee took the first step in closing a loophole in a South Carolina law that seems to allow moped operators to drive while intoxicated. The new proposal defines mopeds as motor vehicles, which will make them subject to the same traffic safety regulations as cars and motorcycles. The problem developed several years ago with a change in the South Carolina vehicle code. Since that change, South Carolina prosecutors have been reticent to file DWI charges against moped operators. “There is a glitch in the law,” said Senator Greg Hembree of North Myrtle Beach after his Senate Transportation subcommittee passed the measure seeking to bar such activity. The measure now goes to the full Transportation Committee. If there are no changes by the committee or the Senate, the proposal could go to Gov. Nikki Haley for her signature in just several weeks. In California, motorized bicycles and mopeds are subject to the same DWI laws as cars, trucks, motorcycles, vans, and buses. 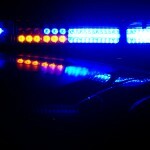 If you are charged with DWI in Orange County – whether you were riding a moped or driving an 18-wheeler – contact an experienced Orange County DUI defense attorney and get the legal help you will very much need – as quickly as possible.